Carly Moreno is a PhD student studying marine science within the UNC College of Arts & Sciences. Her research focuses on using molecular sequencing to study the environmental factors that regulate phytoplankton growth in Antarctica. 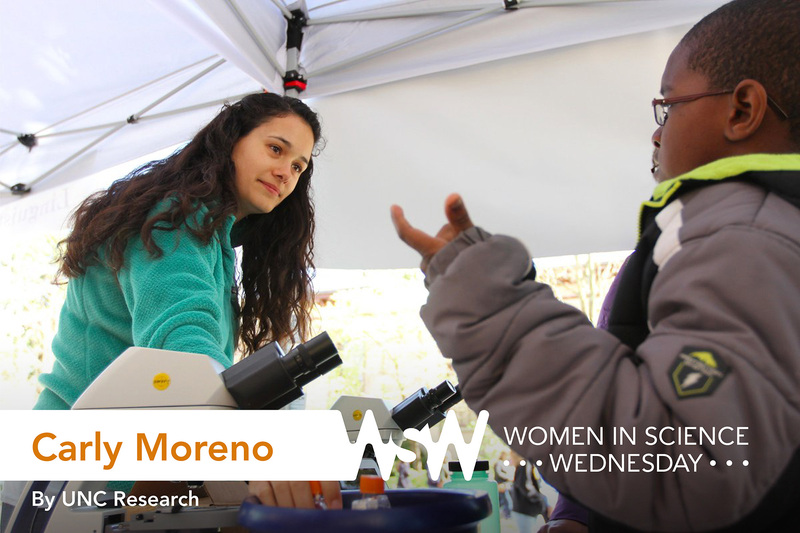 Moreno talks to a future scientist at the UNC Science Festival. I either wanted to work with whales or be an historian. I loved going to museums and learning about ancient people and cultures — but I also loved the water, the beach, and exploring tide pools. I was barely a sophomore at the University of Washington when I had the opportunity to participate in a 21-day research cruise to Hawaii with some amazing professors in the oceanography department. It was my first time collecting my own samples and running my own analysis. After that, I was completely hooked and found other ways to participate in oceanography research labs and fieldwork. 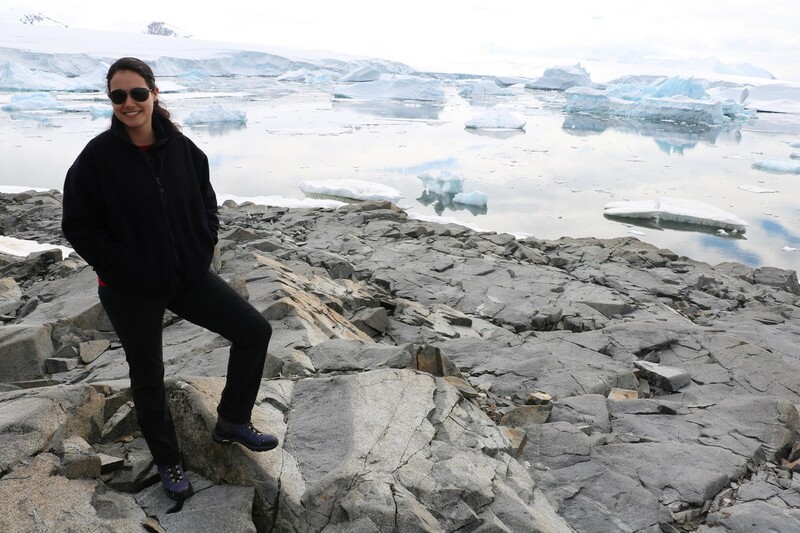 In spring 2016, Moreno spent six weeks aboard the PalmerLTER research cruise in Antarctica, collecting samples and performing incubation experiments to investigate the environmental factors that regulate phytoplankton growth. What’s an interesting/funny story from your time doing research? A few years ago, on the way to Antarctica, I was on a ship sailing through the Drake Passage in a rough storm producing 10- to 15-foot waves. I was so seasick. When I stepped outside to get some fresh air — which I do not recommend — I was immediately hit by a huge wave crashing over the side of the ship. The shock of it all completely erased my seasickness and, since then, my sea legs have remained sturdy. Find a community of people who know what you’re going through. I’ve become involved with a couple of groups on campus that are really supportive of minority graduate students — the Society for Advancing Chicanos/Hispanics and Native Americans in STEM (SACNAS) and the Initiative for Minority Excellence (IME). It was really important for me to find mentors who could understand what it means to be a graduate student coming from a different economic, cultural, or family background. I actually didn’t know about these resources until two years into my program, so I feel lucky that I finally could join these groups, but I do wish I had that mentorship and support in the early phase of my PhD.